Enjoying a superb location just outside of Philadelphia, Delaware County is an ideal location for families, commuters and young professionals looking to relocate to the area. The county is known for its charming scenery, high quality of life and easy access to the region’s attractions, amenities and other various sites of interest. 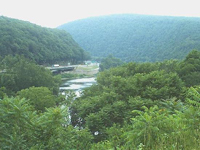 With its blend of charming small towns and bustling cities, great schools and convenient proximity to Philadelphia, Delaware County is one of the most desirable places to buy real estate in the state of Pennsylvania. Delaware County homes for sale include quaint historic homes, single-family homes with spacious interiors, multifamily homes, condos, starter homes and plenty of other excellent options. Real estate for sale is very competitive in price and offers modest interest rates, steady value and a prime location as well. Properties for sale in Delaware County make great choices for commuters to Philadelphia as well as recent college grads and families looking for a place that’s both affordable and livable. The county’s history is rich and fascinating. It was first explored by the famed Henry Hudson in 1609 and later settled by a succession of Swedes, Dutch and English colonists. It played a key role in the Revolutionary War and later thrived as an industrial and agricultural hub in the 19th century. Today it holds many of Philadelphia’s most acclaimed suburbs as well as historic small towns and lively cities, making it one of the most diverse and coveted locations in the region. The Delaware County community is very friendly and welcoming towards new families, retirees and young professionals. The county sports a number of acclaimed school districts as well as prestigious private schools and distinguished colleges like Villanova University, Haverford College, Penn State Brandywine and many more. It plays host to many major highways, SEPTA and Philadelphia International Airport, offering exceptional transportation options for residents. In addition, it offers a modest cost of living and easy access to Philadelphia and many other cities nearby. Delaware County’s top cities and towns include Haverford, Radnor Township, Newtown Square, Villanova, Wayne and many more. The county offers a vast array of attractions, including beautiful parks and interesting historical sites. It boasts the idyllic Ridley Creek State Park, the John Heinz National Wildlife Refuge and a trove of historical landmarks to explore. It also offers easy access to Philadelphia’s rich variety of attractions and sites of interest, including Independence Hall, the Philadelphia Museum of Art, Penn’s Landing and many more. 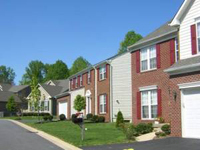 All in all, Delaware County offers a high quality of life at an affordable price. Those looking to move to the Philadelphia area are sure to fall in love with this historic and charming county and its livable communities. Call Jacquie Testa today for assistance with Delaware County PA Real Estate.